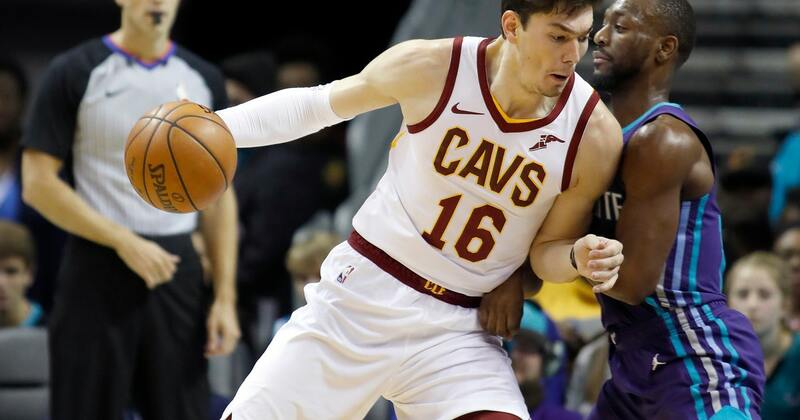 CLEVELAND (AP) — The Cavaliers‘ injury list continues to grow with starting forward Cedi Osman the latest addition. Osman will miss Saturday’s game at Chicago with back spasms that forced him to leave Wednesday’s loss to Orlando. The Cavs, who are 1-10 and missing three other starters, had hoped rest would help Osman, but he’s not ready to play. Cleveland is already without All-Star forward Kevin Love, point guard George Hill and backup forward Sam Dekker, who moved into the starting lineup before Love underwent foot surgery. Coach Larry Drew said Friday that Osman will miss one game and be reassessed. Drew, who recently signed a new contract after taking over following Tyronn Lue’s firing, said the Cavs aren’t “snakebit.” He acknowledged the team needs its reserves to step up while the team is short-handed. Because of the injuries, Drew will shuffle his lineup again. The Cavs signed guard Andrew Harrison to a two-way contract.